Jordan Maxwell has spent the last 50 years devoted to the process of “Unveiling” the truths behind the big questions that most people never even ask. Jordan was one of the first voices I came across in my search for answers to those same questions. The reason most people never ask the questions is because they are too busy, too busy working, paying their bills, building their careers, raising their kids and then trying to find some moments to rest and relax. And it seems the system, this program that’s running , what we term modern civilization is designed specifically to keep people so occupied on the task of surviving that there is no time to contemplate these questions that are nagging at the back of our minds. Who are we , where did we come from , how did we get here and finally where are we going. Of course none of these questions are answered within the main stream reality. In fact as one digs into these mysteries its become obvious that the answers to these questions are in fact hidden from us on purpose. And that’s why we give thanks to individuals like Jordan Maxwell who have spent their entire lives delving into esoteric subjects like Astro-Theology , Secrete Societies, Ancient Sciences, the Suns effect on civilization and Symbolism. One only has to look at the world today and you will find Jordan’s work more relevant than ever before. There are times when Jordan gets a bit morose and fatalistic , which is understandable when you consider that his whole life he has been staring into some pretty dark corners of reality. Which is why its important to note that while sometimes it appears there is no hope for humanity , remember that universe uses everything and that it is always darkest before the dawn. Jordan would find the humor in that statement. Check out the books below by Jordan Maxwell ! 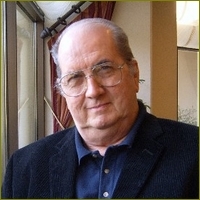 Here is a great recent interview in April 2011 on Red Ice Radio where Jordan Maxwell pretty much lays out his overall focus of research and his persepctive on the current situation on this planet , from a very broad perspective. Jordan doesn’t have any interest in closely examining current events , since most of whats going is pretty much a re run of what has happened in the past. The question he asks of course is why does it keep happening , why are stuck in this program and who is pulling the strings. In my opinion Astro-Theology, is one of the key pieces of the puzzle , here Jordan Maxwell speaks on the topic in this 15 part video in 2009. Another very important aspect of the unveiling is to understand the language of the matrix, and in this case the use of symbols or symbolism and its effect on the mass consciousness. Here Jordan Maxwell is interviewed by New Realities.